Cape Coral Pest Control Pros has built a solid reputation over the past 20+ years as a local service that specializes in exterminator and pest control services. We control ants, bed bugs, mice, cockroaches, and more. This reputation was cemented through a service that combines the highest standards of quality, spotless customer service and a team of competent professionals. Thanks to our customer-first approach, residential and commercial pest services, and transparent pricing with no fine print or exorbitant fees, we have become one of the best in Cape Coral FL. 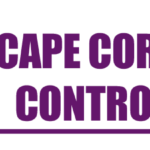 Cape Coral Pest Control Pros is set on a mission to bridge a gap in the pest control services industry. We offer our clients high quality service, exceptional customer care and transparent prices. Cape Coral Pest Control Pros will always be true to its core values: excellence, professionalism and transparency.